From Europe, we bring you a new concept in ice perfect for the Lebanese “joie de vivre” and love of glamour. We are a playful and imaginative studio where water bends and and ice shapes into countless forms to create infinitely beautiful ice sculptures. 360ice comes from Rony Mahfouz’s passion for good living and elegant luxury. 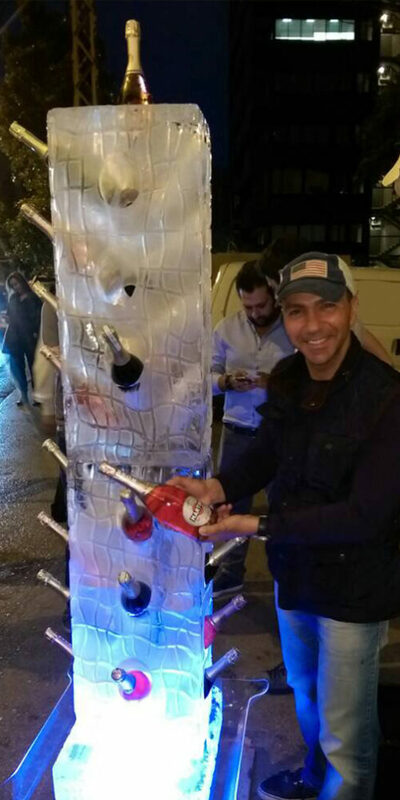 Upon his return from Europe, and identifying with the Lebanese taste for an eclectic and unique sense of style, Rony founded 360ice as the only customizable luxury accessory line in ice for all events and private functions. If it has ice in it, we deal with it. Our mission is to constantly improve ourselves and our creations through open dialogue with you, our clients and friends so we can give you what you desire and envision. We believe in a collaborative approach to create new moulds, new designs and new concepts in ice, that will redefine the “Lebanese Art de la Table”. We are literally breaking the ice and all boundaries with it. We bring frozen sculptures into your homes, your gardens, your restaurants, your weddings,your corporate events and any other occasion you can think of. As we like to say: Whats HOT, has never been COOLER. 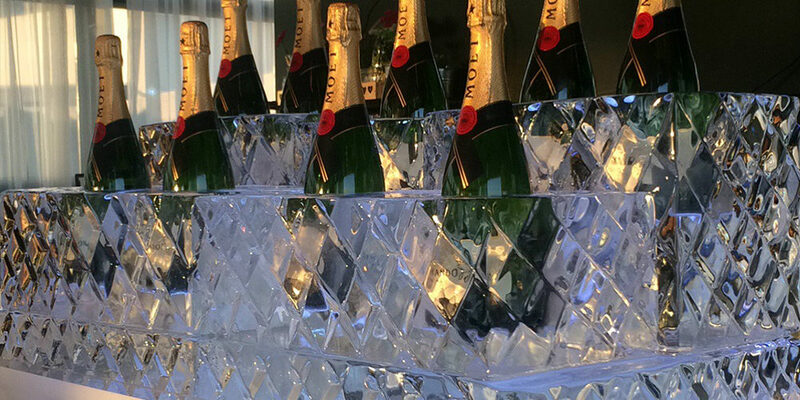 360ice can be the perfect frost to freeze your special events and make unforgettable memories for all your guests and loved ones. 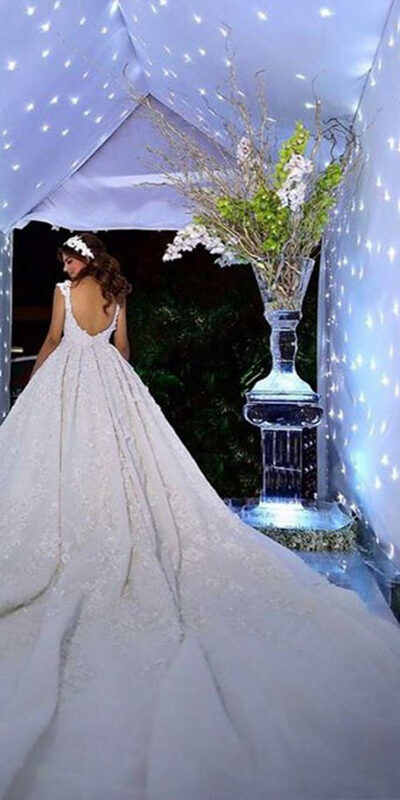 A wedding is a celebration of love and for every Lebanese bride, it is a creative vision in all its glory. We know how much time you spend envisioning and perfecting your ideal wedding. We appreciate the value of personalized details and the importance of that special touch that will make your wedding a true fairytale for both the groom and yourself, as well as all your guests. Flowers, lights, the white dress, the smiles… let it all shine even more with the right icy touch. 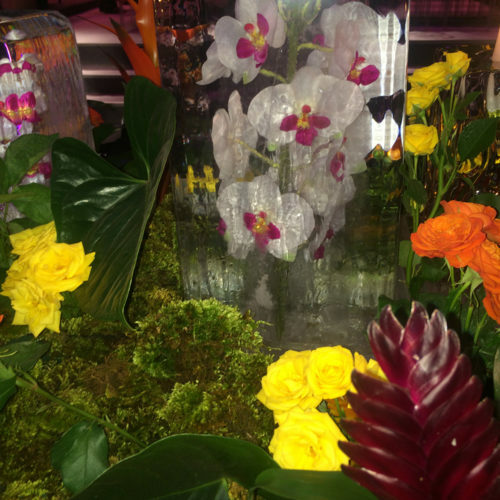 So choose now from any of our special selection of ice sculptures and see how you can customize it, to keep that night the weeding of your dreams. Married already? Engaged? Planning a Bachelor party or just having friends over for dinner? 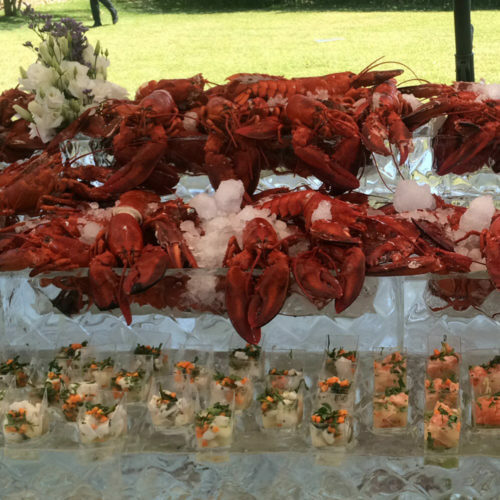 Great catering is all about the food. Mouth-watering flavors and delicious recipes enhance any function. Presentation is equally essential. 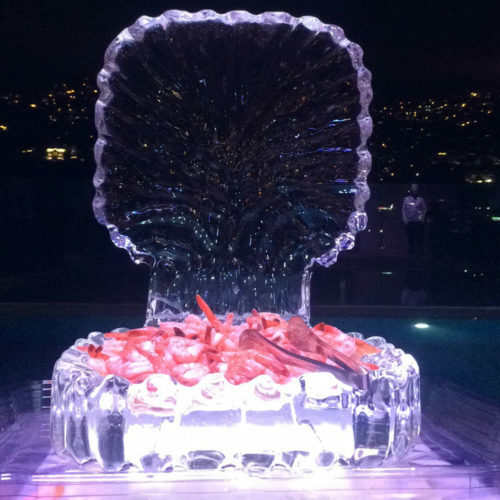 When catering to the food-driven fantasies of your discerning clientele what better way to present an unforgettable meal than with ice sculptures specially created with your business in mind? Whether for the beverage bar, or the buffet itself, we have a dedicated team ready to assist you in choosing and customizing the ice to match your needs. 360ice’s mass production capabilities, sculpture water filtering systems, and LED lighting will seamlessly integrate with your cuisine of choice without a fuss. 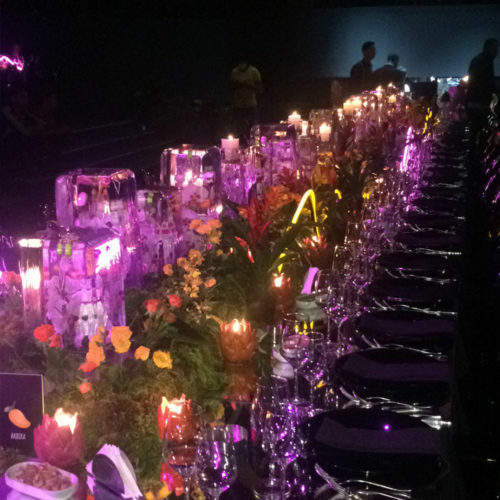 Your media coverage will blow out of proportion with the way you are re-designing your corporate events. 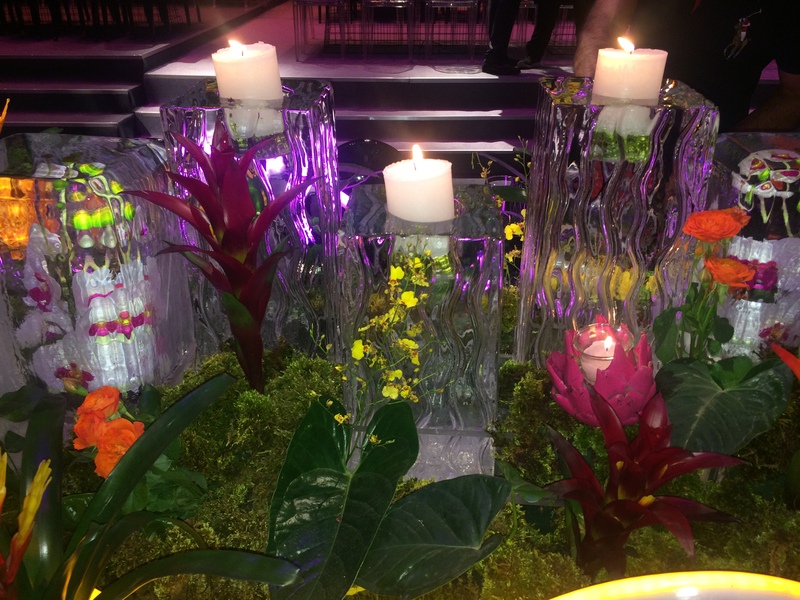 Your clients, shareholders and stakeholders will certainly freeze your invitations in their memories as your not-to-be-missed event takes center stage. 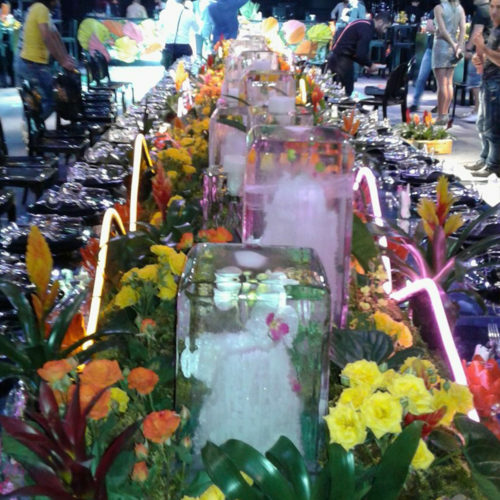 Whether its a new product launch or a reunion, we certainly have the ice for you. 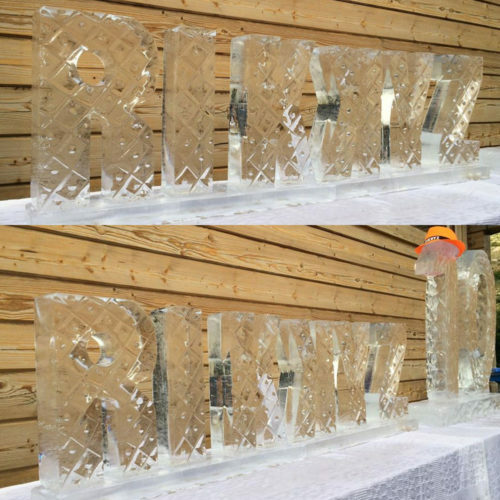 Carve your logo on a sculpture in living colors, encase bottles, bags, shoes, anything that is on your retail roster, or serve your drinks from our ice bar which you can also customize with your slogan or anything your heart desires. Call us now! Our Consultants are available to help you with design and customization choices.